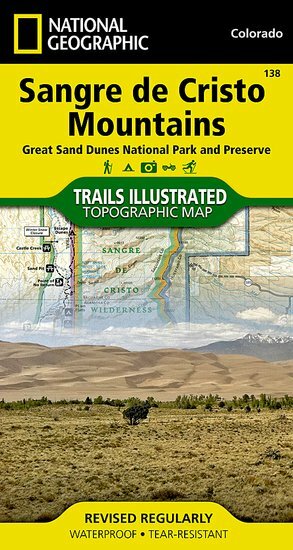 Trails Illustrated Sangre De Cristo Mountains Trail Map [ti138] - $10.95 : Trail Explorers Outpost, Keeping the Adventure Alive! 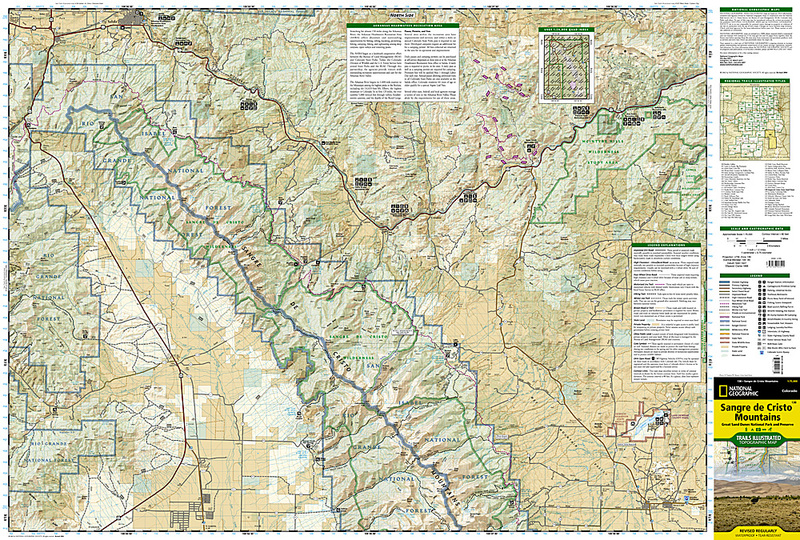 The Sangre de Cristo Mountains Trails Illustrated map is the most comprehensive and complete recreational map for this popular wilderness area in south central Colorado. 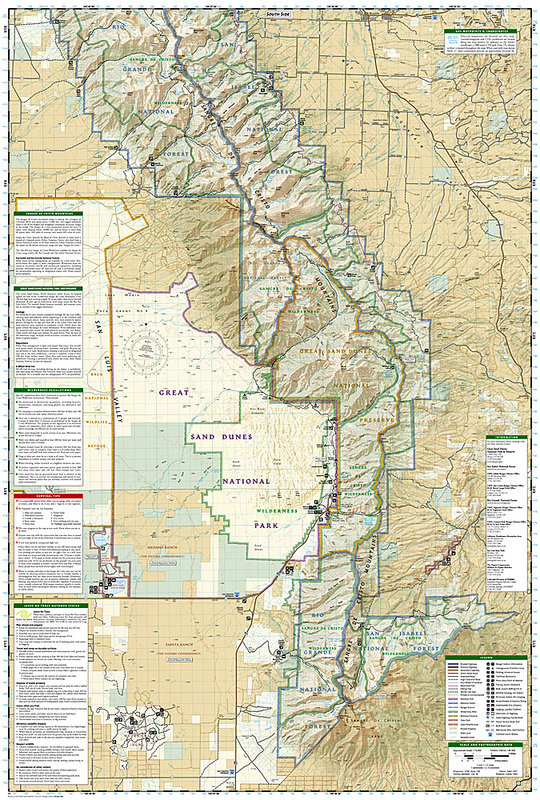 Coverage includes Sangre de Cristo Mountains; Great Sand Dunes National Park and Preserve; San Isabel and Rio Grande national forests; Sangre de Cristo Wilderness; Arkansas Headwaters Recreation Area; San Luis State Park; San Luis Lakes; DeWeese Reservoir and Huerfano State Wildlife Areas; Blanca Wetlands; Rainbow Trail; Hayden, Medano and Mosca passes. 14ers: Blanca Peak, Crestone Peak, Crestone Needle, Kit Carson Mt, Challenger Point, Humboldt Peak, Ellingwood Point, Little Bear Peak and Mount Lindsey.